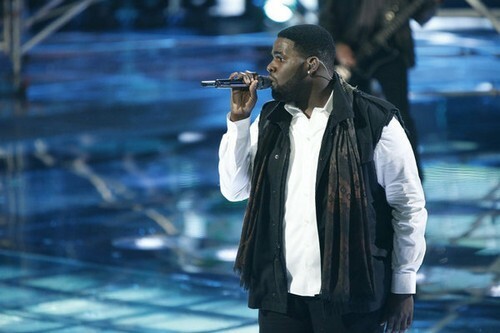 Trevin Hunte took the stage tonight on THE VOICE for his Top 6 video performance. Nicholas sang “Walking On Sunshine” by Katrina & The Waves. Tonight’s show the top 6 performed live in front of coaches Christina Aguilera, Adam Levine, CeeLo Green and Blake Shelton for America’s vote and a chance to move on to the semi-finals. On tonight’s show the remaining six contestants will be giving two performances. One song will be selected by the semifinalist and the other by their coach. Did you miss tonight’s episode? If you did we watched it and we recapped it here for you. If you missed any of the performances, you can see all the videos here! Judges Comments: Adam “That is the last song I could ever imagine you singing and you are the best, you killed it and I am happy it worked”. Blake “I love it when you have those little windows, those moments when you hit those big notes, I love it”. CeeLo “Trevin, it made me feel so much better to see you happy and moving, I hope that you get it now. I think you did a great job”. On tomorrow’s result show, on tomorrow night’s show NE-YO performs “Let Me Love You (Until You Learn to Love Yourself)” with the artists. In addition, Matchbox Twenty is joined by artists to perform their new hit “Overjoyed.”By the end of the evening two artists will be eliminated and we will be moving on with the elite Top 4 and the semi-finals.